Published on Friday, June 10, 2016. This article appears in the June/July 2016 issue of American Craft Magazine. Glass artists Tommie Rush and Richard Jolley have filled their home with objects that reflect the people and places that have shaped them. 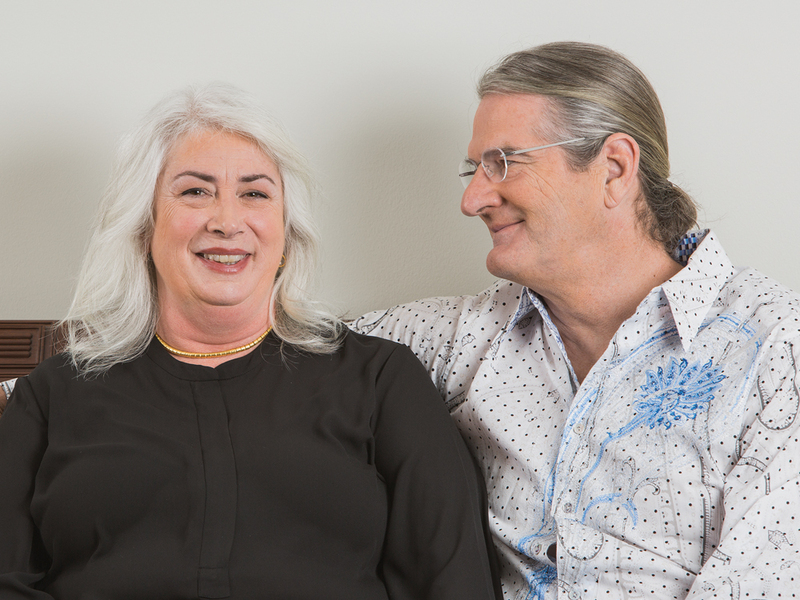 Tommie Rush and Richard Jolley have lived and worked together for three decades. 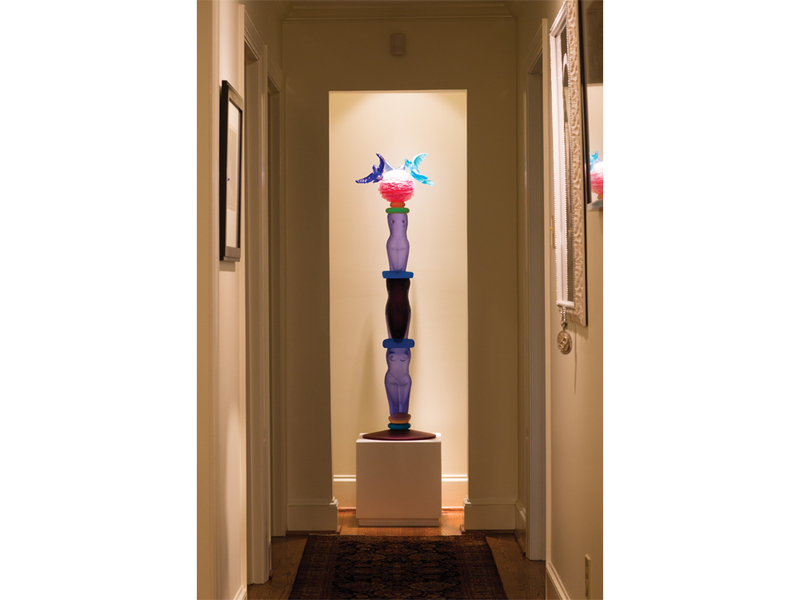 Internationally recognized figures in American art and craft, they remain rooted in East Tennessee culture and traditions, even as they explore new directions in contemporary glass. In 2011, they were the subjects of a joint exhibition at the Mobile Museum of Art, and in 2014, Jolley’s Cycle of Life: Within the Power of Dreams and the Wonder of Infinity, a monumental glass and steel installation, was unveiled at the Knoxville Museum of Art. Jolley recently celebrated the 40th anniversary of his Knoxville glass studio. Since 1997, the couple has lived in Concord, a community once known for Tennessee pink marble and Civil War history. Tell us about your house, where you’ve lived for 20 years, and its surroundings. Richard: We live in a post-war house, with a design based upon a Frank Lloyd Wright-style house. It is a modern suburban dwelling, located in a former agricultural region that evolved into a suburban region. Tommie: We live in a unique area for the Knoxville region. This was a little town, all unto itself – a thriving town prior to the Tennessee Valley Authority flooding the valley in the 1930s, like many other little towns that went under with the TVA dam systems. You can see on our Main Street a few businesses that remain. 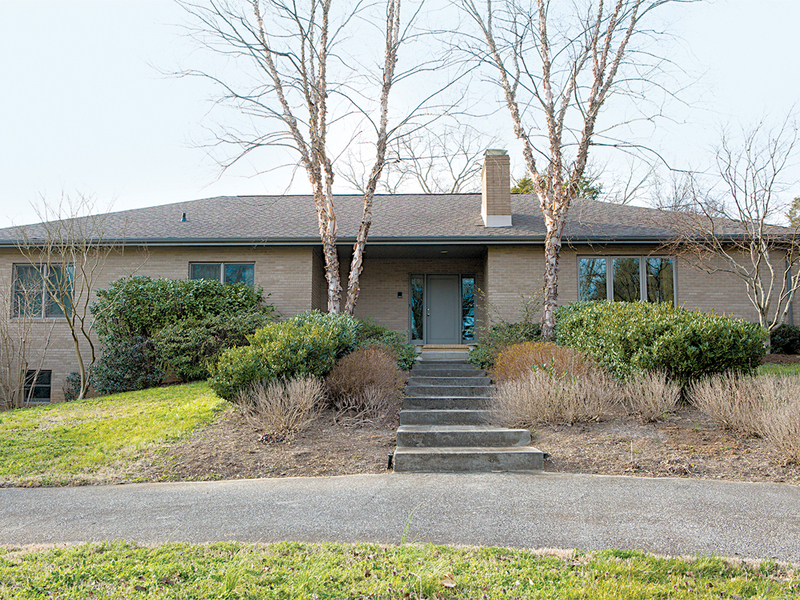 There is an historic character to it that escaped the suburban sprawl of Knoxville. 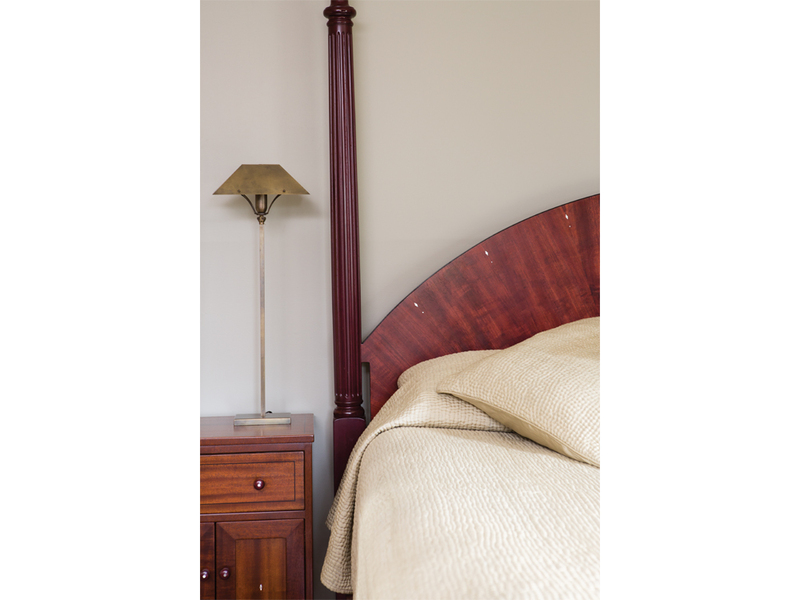 You live in a home that blends new and old, including contemporary and traditional furniture. How are your histories reflected here? Tommie: The antiques in the house are from my side of the family; they have been passed down. I don’t live in an old Southern house now, yet the dining room table is the table I sat at with my grandmother; the chairs are placed the same way. The little marble table, also in the dining room, is from around 1850. For me, it’s nostalgic; it’s an emotional connection. These are things that I grew up with. Other pieces in the house, the beds and the heart pine table, were made by someone I grew up with in Mobile, Alabama, Glenn deGruy. The table was in storage before we bought this house, when we lived in a little farmhouse. I knew I wanted Glenn to make beds for us. We started with those elements, and it evolved from there. Richard: You surround yourself with things that are from family, that are of interest to you, things of quality, or of an aesthetic aligned with how you see the world. The contemporary art works, as a juxtaposition, reference the human experience. That’s evident in the Birney Imes photographs of juke joints and the Julius Shulman photograph in the kitchen that is symbolic of the American dream – that elusive but qualitative thing that we all think about. 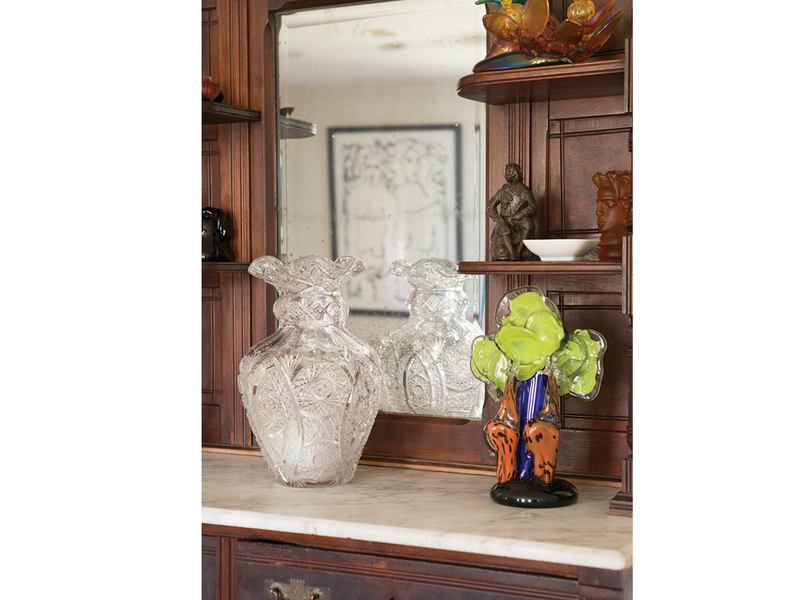 The antiques in your dining room, such as that large cut-glass vase, sit comfortably next to your own glass works. Tommie: Richard likes the Brilliant Period cut-glass vase that belonged to my grandmother. One thing that attracted him is that it is about 1/32nd of an inch slightly off-center, reflecting that it was handmade. I always loved it, because my mother actually used it. In Mobile, we had giant azalea bushes. You could cut big branches of azaleas and put them in there; they were just gorgeous. In my family, we actually used things. They were beautiful, but you used them. Many artists and craftsmen have studios near their homes. You do not. Instead, you have created a clear separation between your home and studio. Tommie: As I told Richard, when we were deciding if we wanted to build a house at the studio, because we have 6 acres there, I firmly stated that that was a deal breaker for me, to live where we work. I know that Richard loves working; he loves making things. He would have worked all of the time. It was difficult, but we defined a zone around the studio, with a radius of about a 20-minute drive. I wanted a separation – a workspace and a living space. I enjoy entertaining, cooking, having friends over. I enjoy all of that. Richard: We chose to be fairly close to the studio; we did not want an extended commute. 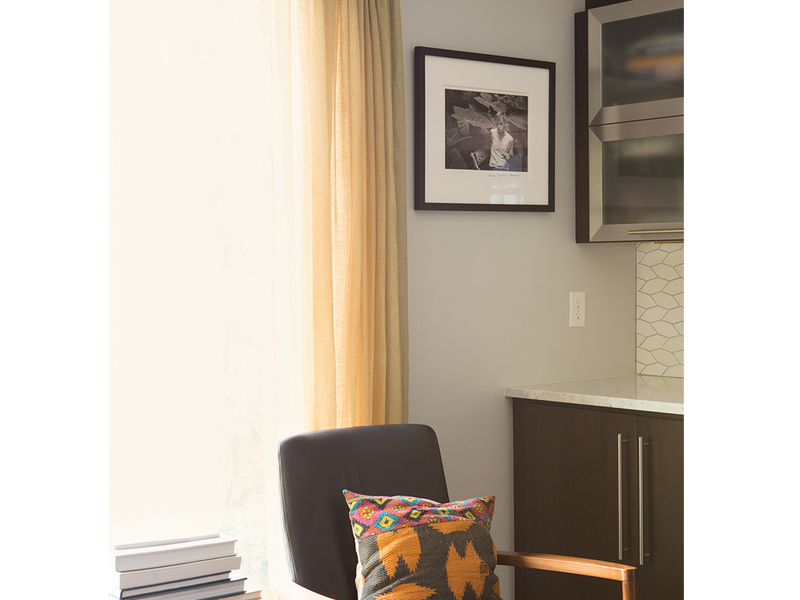 The studio became the bohemian world, the work world, and the house became the respite. You collect a wide range of contemporary art and artists. How do you select those works? Richard: Our criteria for collecting have evolved. The Mel Chin drawing I have had since Mel and I were in college in Nashville at Vanderbilt. I purchased things that aligned aesthetically with how I felt or represented something I could learn from. With my Blue Line Drawings, I looked for the concrete feel of the human form; years later I discovered that in our Mona Kuhn photograph. There is that kinship. With Bessie Harvey and other folk artists, there is a sense of raw innocence that can be extremely articulate. We collected works by Harvey, Charlie Lucas, Mose Tolliver, and R.A. Miller. Your collections reflect strong ties to specific places, such as the Penland School of Crafts and New Orleans, places where you have meaningful personal connections. Tommie: We have ties to New Orleans and to artists we know from our time at the Arthur Roger Gallery, figures like Robert Gordy, Francie Rich, and Dub Brock. 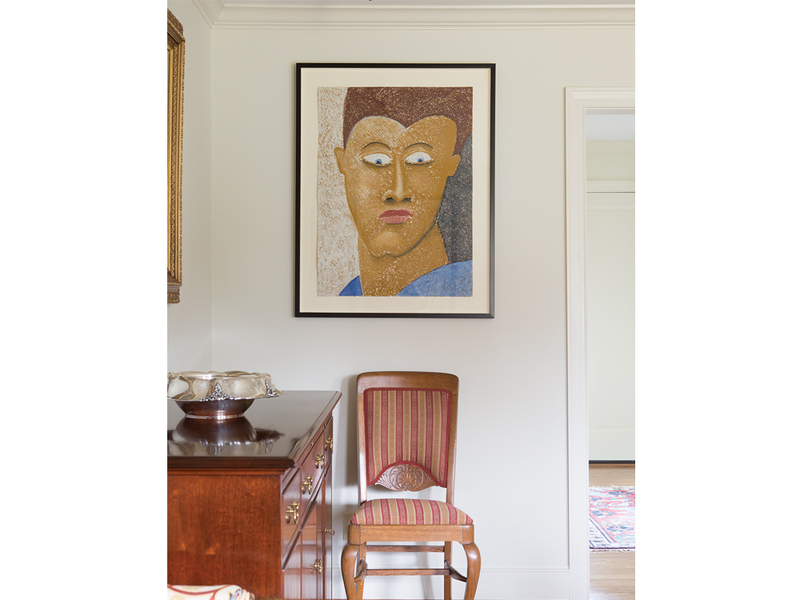 In Atlanta, through Elton John, when he collected Richard’s work from Fay Gold Gallery, we became more aware of contemporary photography through Elton’s photography dealer, Jane Jackson. 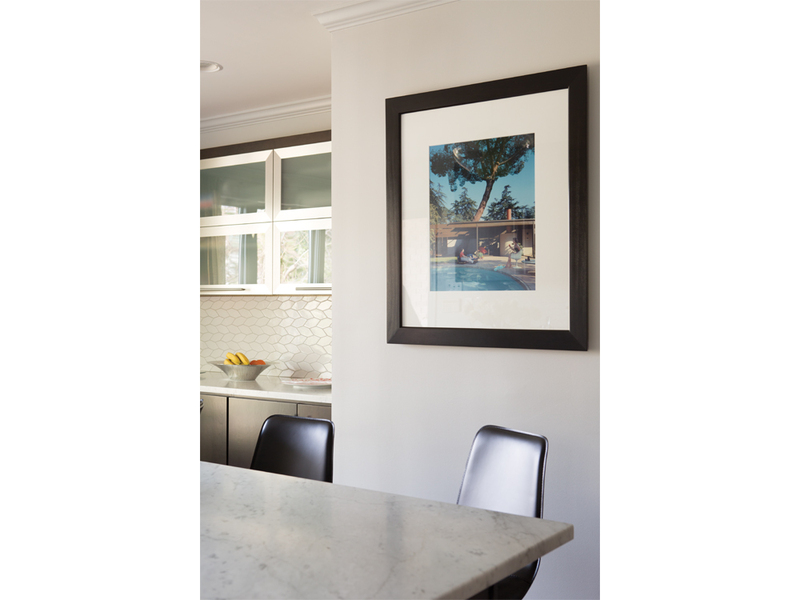 Many of our photographs come through Jackson Fine Art, now owned by our friend, Anna Walker Skillman, such as the images by Mona Kuhn and Matthew Pillsbury, who made the Twin Towers photograph. We do have works from Penland and their auctions, including a Ralph Burns photograph, and photographs by Alida Fish and James Henkel. You show your own art here sparingly. Why is that? Richard: We have a few pieces here, but we don’t have our house on tour. We always have candlesticks and things we use while entertaining. But we spend our time with our work during the day. There is a place for it at the house, yet it is nice to have a bit of separation, a distance from work. Tommie: We have a major totem piece of Richard’s at the house. It’s nice to have other artists’ work around whom you admire. Richard, what influence has Tennessee exerted on you and your art? Richard: I’m a product of my education in the state of Tennessee. I went to public schools in Oak Ridge. I graduated from college in the state. When I was a young artist, the Fugitives and the Agrarians [early 20th-century Southern poets and writers] were an important influence. For me, it was important to read Southern literature. It became a cross between that and early modernist artists, like Picasso and Matisse, a fusion between literature and the visual arts. To that, I would add the influence of my father, a research scientist at Oak Ridge, who was active as an environmentalist, a conservationist. There was always hiking, the general awareness of the Great Smoky Mountains National Park, things we took for granted as children. My father took my brother and me along when he was helping to reclaim strip mines in the Cumberland Mountains, planting pine trees. You’re a gardener and the descendant of gardeners, Tommie. Has that influenced your work in glass? Tommie: Both of my grandmothers’ homes had gardens. My grandmother in Mobile always had flowers in the garden; I learned the names of flowers from her. In Mobile and Eufaula, where my other grandmother lived, you didn’t realize it as a kid, but there was always something blooming. And there were places like Bellingrath Gardens and Home, near Mobile, with beautiful camellias, azaleas, star magnolias. I was interested in flowers. My mother knew Latin, and I was exposed to the Latin names of the trees. My interest in nature and plants is definitely reflected in my work. Where do you two spend the most time at home? Tommie: The kitchen area. That’s why we wanted an open space – for seating, for cooking, and for prep work. People gather there. There’s also a favorite photograph by Henri Cartier-Bresson of Truman Capote in New Orleans there. We wanted it to be interesting and comfortable. J. Richard Gruber is director emeritus of the Ogden Museum of Southern Art, University of New Orleans. In the dining room, a Brilliant Period cut-glass vase, which belonged to Rush’s grandmother, sits beside a 2010 Jolley work, Giraffes and Trees, made in Africa. A postwar home inspired by Frank Lloyd Wright is the setting for Rush and Jolley’s collection of contemporary and antique works. Though dormant in this photo, their yard is lush with greenery come summer. Rush and Jolley commissioned deGruy to make beds for the house; this one is of purple-heart with mother-of-pearl inlay. He made the mahogany bedside tables around the same time. Friends love to gather in the kitchen. A 1940s photograph by Julius Shulman shows an idyllic vision of midcentury American life. With their studio a 20-minute drive away, Rush and Jolley maintain a deliberate distance between their work and home. But a few of their pieces, such as Jolley’s Tour de Femme (1997), can be found throughout the house. Rush grew up surrounded by gardens. 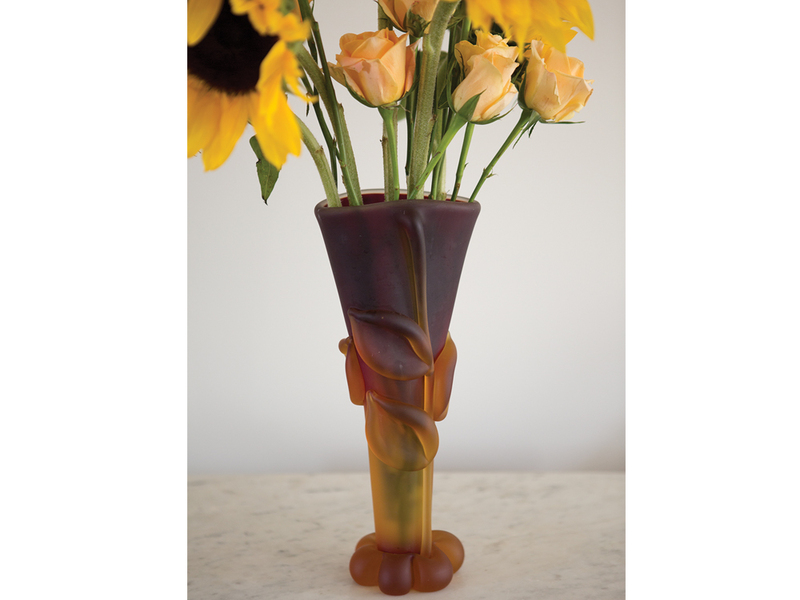 Her interest in nature has inspired pieces such as this blown-glass botanical vase (2008). The couple knew the late artist Robert Gordy from time they spent in New Orleans. 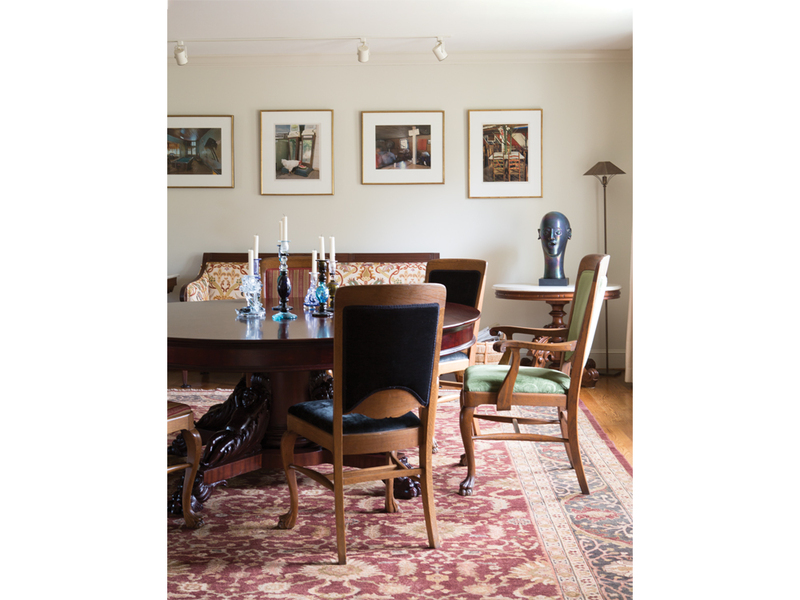 His pastel from the 1980s adds a contemporary counterpoint to the dining room’s heirloom furniture. As a girl, Rush sat at this table with her grandmother. Photographs from Birney Imes’ Juke Joint series grace the wall. On the side table is Jolley’s Head as Egg (2016). 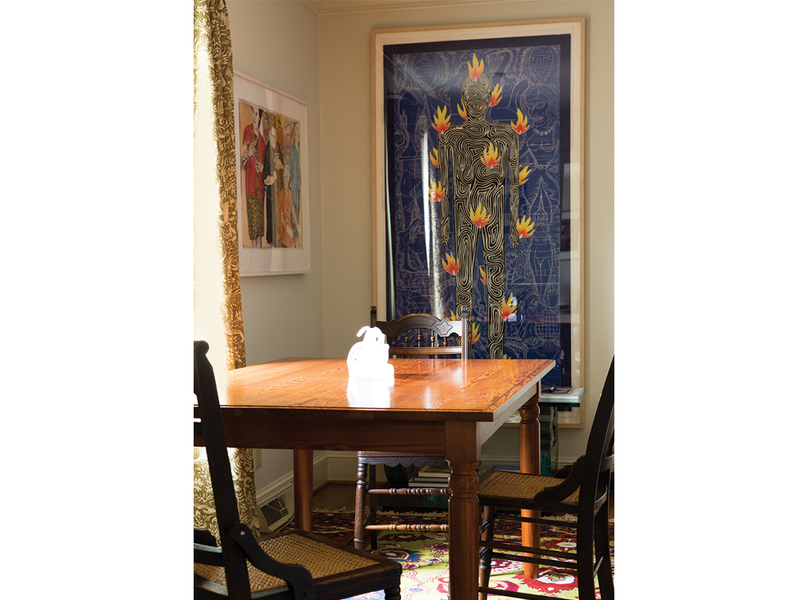 In the breakfast room, a large woodblock print by John Buck and a Francie Rich watercolor overlook a heart pine table by Glenn deGruy, whom Rush grew up with in Alabama. In the corner of the kitchen is a prized 1947 photograph of Truman Capote by Henri Cartier-Bresson. The pillow cover was a gift from a friend who traveled to Morocco.